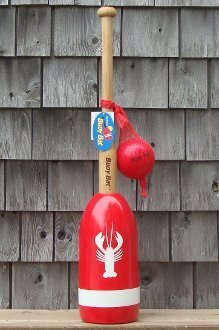 The Original Buoy Bat is a fun new sporting good handmade in Maine with authentic foam fishing buoys and hardwood handles. 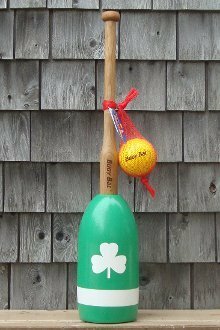 Played like baseball, Buoy Bat is perfect for the beach, backyard, or playground and wicked easy to hit with because of the oversized sweet spot on the bat. 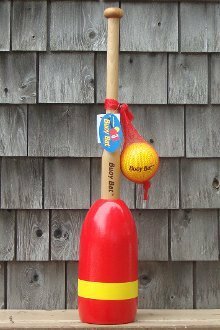 Buoy Bat has been tested by many and proven to be fun for all ages. Because it's light, easy to use and comes with a "face friendly" ball, young and old can play it together. 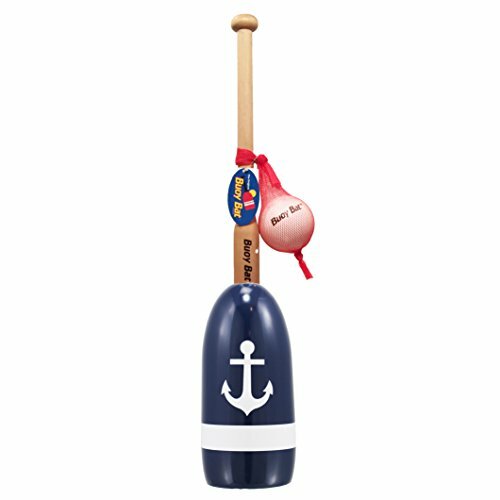 Each Buoy Bat is sold as a set and comes with one Little Blaster ball. Our buoys are brand new and decorated with cool, bright colors and patterns. 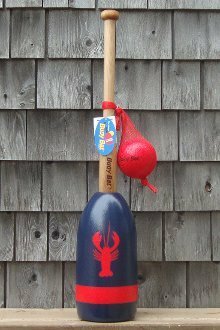 •Handmade in Maine with real foam buoys. 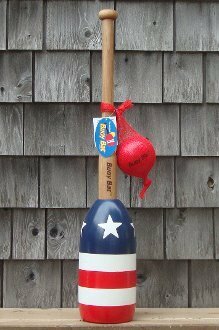 •Buoys vary in size, shape, and texture. Because of this, so may this product. •Paint and designs are applied by hand and variations may be evident. •Please plan on considering variations character and not defects. 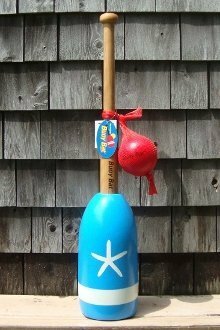 •Should only be used with balls softer than the buoy. Extra balls available. •Ball color may vary from what's shown. •Patented.